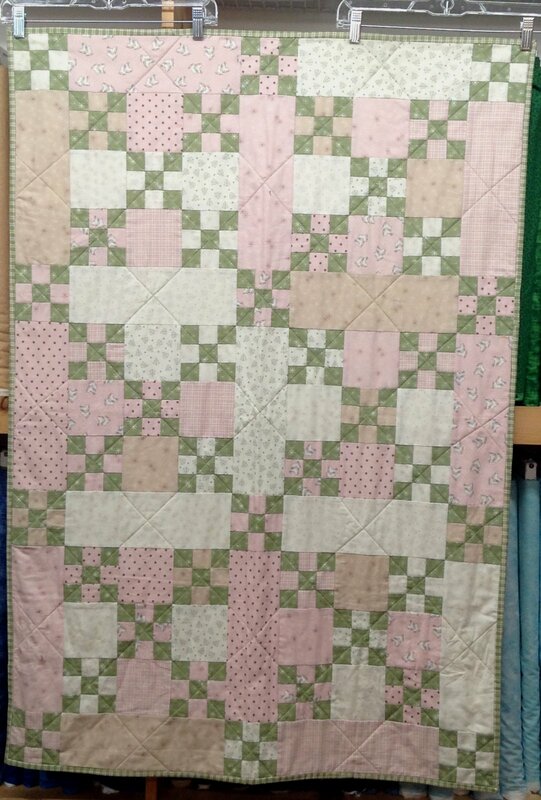 Home > Quilts For Sale > Quilt for Sale: Mistletoe Lane Nine-Patch Quilt - measures 34" x 48"
Quilt for Sale: Mistletoe Lane Nine-Patch Quilt - measures 34" x 48". Soft pinks, greens and creams with subtle winter theme of snowmflakes, ice skates. Fabrics are 100% cotton. Makes a great gift, or welcome addition to any dorm room, home, cabin, favorite chair.